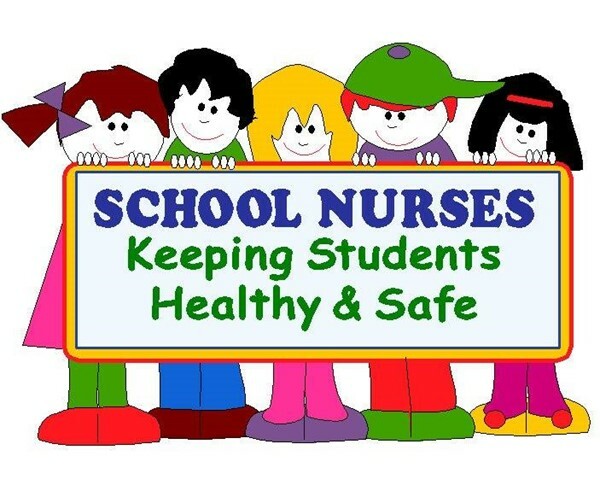 Valley View ISD Early College Campus Nurse's Office welcomes each and every one of you to the 2018-2019 school year! We wish students, teachers, staff and parents a great year! As part of VALLEY VIEW EARLY COLLEGE CAMPUS, the nurse’s office, often referred to as the "clinic", is here to assist your child when he/she is ill or injured. Other important aspects of our clinic are administering medication and verifying that all students in the district are current with their immunizations. In addition, we screen certain grades and students new to the district for vision, hearing and scoliosis. Listed below is some helpful information on topics such as nurse/clinic visits, Physical Education excuses, emergencies, going home and contagious conditions. 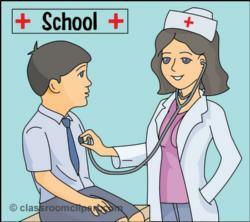 NURSE / CLINIC VISITS: A student must obtain a PASS from his teacher to visit the nurse during the day. He/she must always check in with the teacher before going to the nurse, even between classes. IMMUNIZATIONS: The State of Texas mandates that all students be current with their immunizations. Verifying that student immunizations are current is one way we PROTECT the health of your child. ALL IMMUNIZATIONS SHOULD BE CURRENT BEFORE STARTING SCHOOL. Any time your child gets an immunization, bring the shot record to school, so we can update your child’s health record. If an immunization is due during the school year, we will send you a notice. For the safety of all students, your child may not return to school if he/she is delinquent with his/her immunizations. P.E. EXCUSES: A Physical Education excuse from a parent or nurse is to be approved by administration. If more days are needed, a doctor's excuse needs to be brought to the nurse or coach. EMERGENCIES: In case of serious illness or accident, we will try to contact you (or the person you designate) by phone so you can pick up your child. If the emergency is life threatening, an ambulance will be called (the District does not pay for this). It is very important that we have a "Student Emergency Record" with current phone numbers in the campus nurse’s office so we can reach you in an emergency. Please include cell phone numbers. GOING HOME: The student who wishes to go home due to a medical reason must be evaluated by the nurse. The nurse will then call parent from the nurse’s office/clinic with her recommendation. Students are not to call from the teacher’s classroom or any other phone. Every effort will be made to contact the parent when a student wishes to go home due to a medical reason. However, if we are not able to contact the parent and the problem is not one of a serious nature, the student can return to the classroom. If the student’s medical problem is more serious, such as fever of 100, the nurse may call the other two people listed on the student’s emergency card. SCREENINGS: During the school year, students new to the district will undergo vision and hearing screenings. Texas State Law requires that all 8th graders undergo scoliosis screenings. A referral letter will be sent home if any abnormalities are noted. It is asked that you take the referral letter to your health care provider, and then bring it back to us so we can continue to assist with your child’s health. 1. Students may not carry ANY medications with them during school hours unless they have written permission from our health staff. All medications will be kept in the Nurse’s Office / Clinic and administered only by our health staff or other designated personnel. Students who are allowed to carry inhalers are advised not to let other students use them. La oficina de enfermeria de Valley View ISD Early College Campus les da la bienvenida a cada uno de ustedes este año escolar de 2018-2019. Deseandoles a los estudiantes, padres, maestros y empleados un gran año. Su hijo(a) será enviado a la enfermería en caso de enfermedad o accidente. Usted o la persona que usted designe será notificada si su hijo(a) tiene que enviarse a casa. Será su responsabilidad el buscar atención médica a menos que la emergencia sea de tal magnitud que su hijo(a) tenga que enviársele al hospital inmediatamente de la escuela. Si tal emergencia ocurre, usted será notificado lo más pronto posible. El personal en la sala de emergencia no atenderá al niño(a) sin la presencia o permiso de los padres. VISITAS A LA ENFERMERIA:Como una medida de protección para los alumnos, se han establecido las siguientes reglas que serán seguidas en todo tiempo. Un niño(a) no se manda o se lleva a casa si no hay nadie en casa para recibirlo. MEDICAMENTOS: Favor de no mandar medicina a la escuela con su hijo(a). Si es posible trate de darle todos los medicamentos en su casa. Si la medicina es recetada por su doctor, y se tiene que dar durante horas escolares, debe tener su envase original con la etiqueta mostrando el nombre del niño(a) y la dosis a administrar. EXAMEN: Durante este año escolar algunos de sus hijos serán examinados checando su estatura, peso, vista, audición y para scoliosis. Usted será notificado si su hijo(a) requiere asistencia médica adicional. Algunas instrucciones con respecto a medidas de salud serán discutidas con su hijo(a). Es importante que los niños aprendan y comprendan sobre los cuidados que deben de tener para mantenerse sanos. EDUCACION FISICA EXCUSA: Si su hijo(a) no puede participar en deportes o educación física, debe traer una nota o justificante por escrito del doctor señalando las fechas de dicho periodo de reposo. Usted debe de traer a la escuela una nueva nota cada vez que se inicia el año escolar. INFORMACION DEL CONTACTO: Favor de informar sobre algún cambio en su Número de teléfono a la recepción de la escuela o en la enfermería. Es muy importante poder comunicarnos con usted en caso de una emergencia.